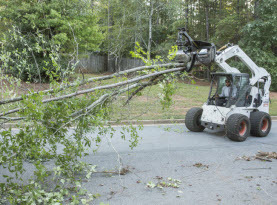 Milam’s Tree Service of McDonough, Georgia supplies the local commercial businesses and residential homes with a number of tree related services. Being completely licensed and insured, we deliver affordable professional quality services. 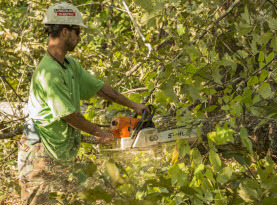 Milam’s Tree Service specialists have advanced training, years of experience, and natural skills coupled with top-grade equipment and products available only to licensed professionals assure maximum results. Milam’s Tree Service doesn’t just offer top quality organic mulch! 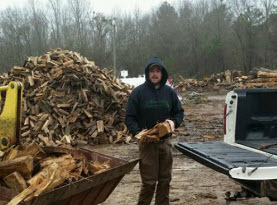 We also offer the local commercial businesses and residential homes of the Greater McDonough, Georgia area with Pine Straw, Topsoil, Fill Dirt, River Sand, and Wood Chips. With our premium products, your needs will be met with rich and extraordinary quality. We offer pick up and delivery for your convenience. Milam’s Tree Service’s pine straw is sold in bales for convenient management. Ideal for your landscape, pine straw is an exceptional choice. Pine needles that have naturally fallen from the trees are gathered to use in flower beds as a ground cover that contributes to insulating the soil temperature fluctuations and will not be easily moved under heavy rainfall. Pine straw is perfect for hills and slopes due to the pine needles ability to interlock after being spread. Milam’s Tree Service’s topsoil products are the highest concentration of organic matter. Filled with blends of mineral particles, organic matter, water, and air to cover approximately the top 2 inches of your landscape, our top soil is just what your landscape needs. Your property’s soil is enriched and the plant’s roots can be strengthened with our top soil being added to your gardens. Milam’s Tree Service’s fill dirt can be used for your commercial or residential property is ready for you, whether you need compaction fill, subsoil excavation, shaping your landscape or anything else you need, we got you covered. The fill dirt can help you in fill in holes or even out the terrain of your landscape or assist in building up your flower garden beds and so on. Generally not containing fertilizer, our fill dirt can be used singularly or in conjunction with our other products to fulfill your needs. What is River Sand Used For? Milam’s Tree Service river sand is ideal for clay based soil as the clay soil does not possess the efficiency to drain well and adding the river sand enhances drainage. It can also be ideal for beach projects, sandboxes and top-dressing for lawns. Building a beach volleyball court for some fun activities or used to cater to children for a designated area to have some sand castle fun. No matter if you need river sand for recreation or to improve the landscape, we have the best river sand available! 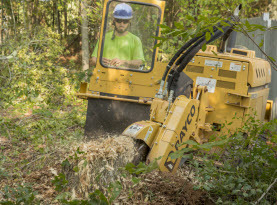 Milam’s Tree Service’s wood chips are generally cut or chipped from large chunks of wood into medium-sized solid material. Primarily used for organic mulch for garden beds, landscaping, and orchards. Wood chips can also be used for a variety of other reasons, and no matter what you need wood chips for; our wood chips are of the best quality and can be readily available as you need it. If your Greater McDonough business or home is in need of Milam’s Tree Service’s Pine Straw, Topsoil, Fill Dirt, River Sand, and Wood Chips products contact us today and we will help you figure how much you need and get it to you as soon as possible via pick up or delivery!